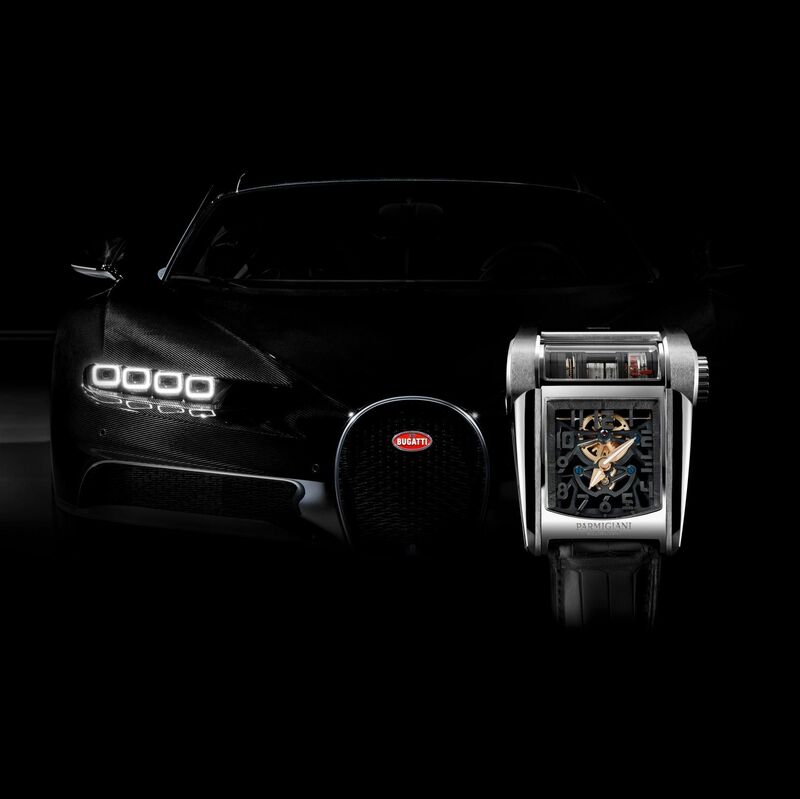 This timepiece is truly one-of-a-kind; its exceptional performance and on-board technology is designed to emulate the Bugatti Chiron in watch form. 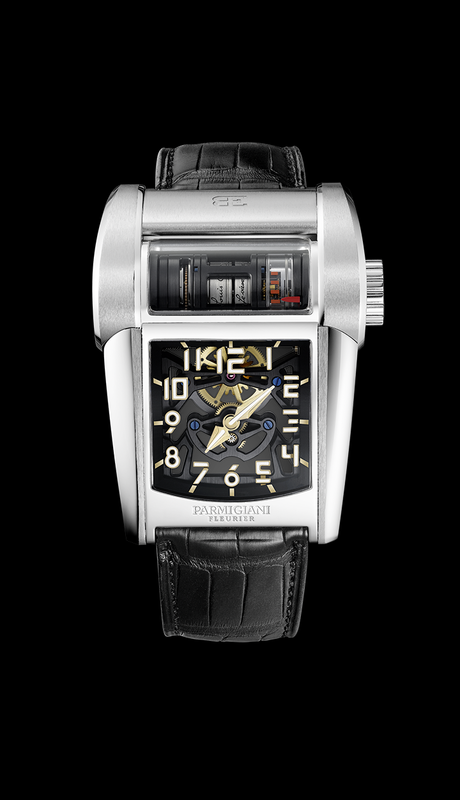 A hub of innovations and brand new solutions, this engine block on the wrist is unique in its horizontal cylindrical construction. On the one hand, we have the 8-litre 1500-hp quad-turbocharged W16 engine propelling the sports car to a top speed of 420 km/h (limited for road use); on the other hand, we have the Calibre PF390 with its cylindrical "engine" and two series-mounted barrels – a nod to the saddle tank on the Bugatti – and featuring a flying tourbillon boasting an 80-hour power reserve. 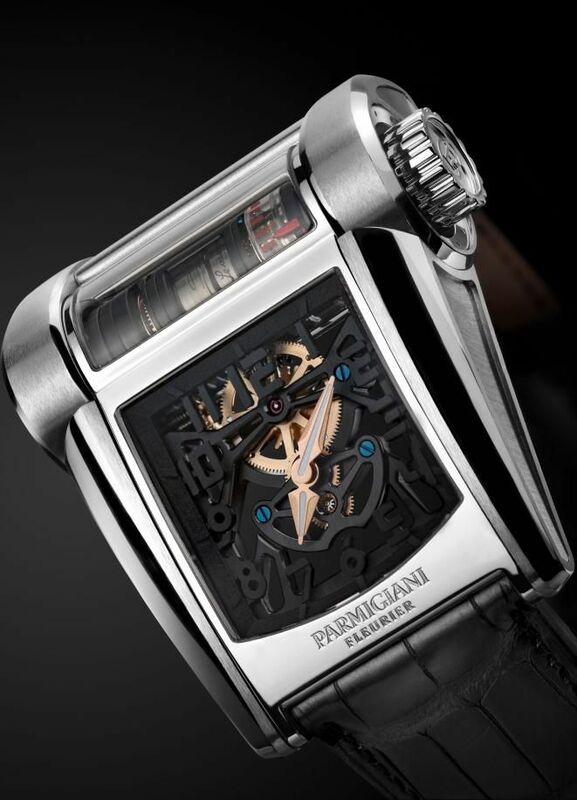 This new type of "engine" has been slimmed down so that its diameter is no larger than the regulator of its 60-second tourbillon, which shows the seconds. Once the diameter of the regulator was determined according to the inertia required (the balance has an inertia of 10 mg.cm2), the entire construction (including the barrels which power the "engine") fit this measurement to form a regular cylinder. 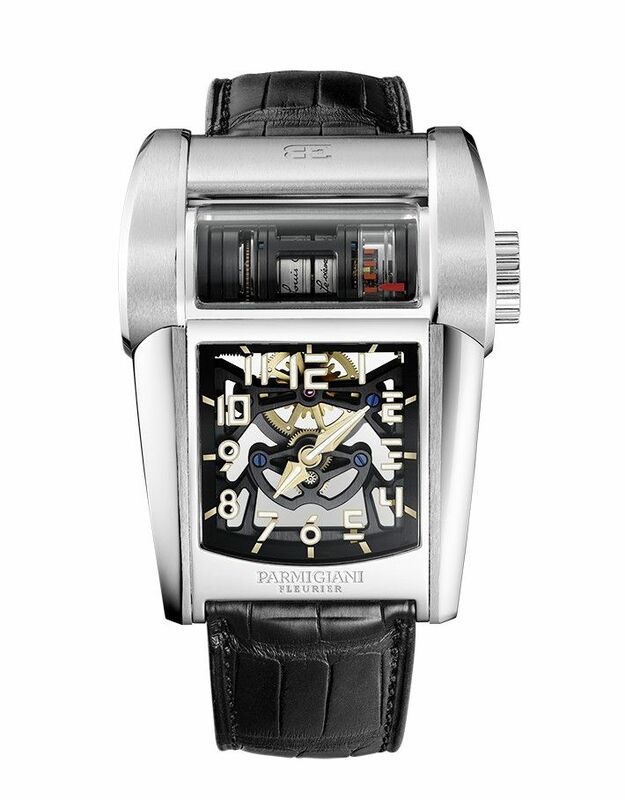 Key to this is the patent which was filed by the Parmigiani Fleurier manufacture when this unique hand-wound mechanical movement was being developed.